Editor’s Note: The following post is originally from September, 2005. 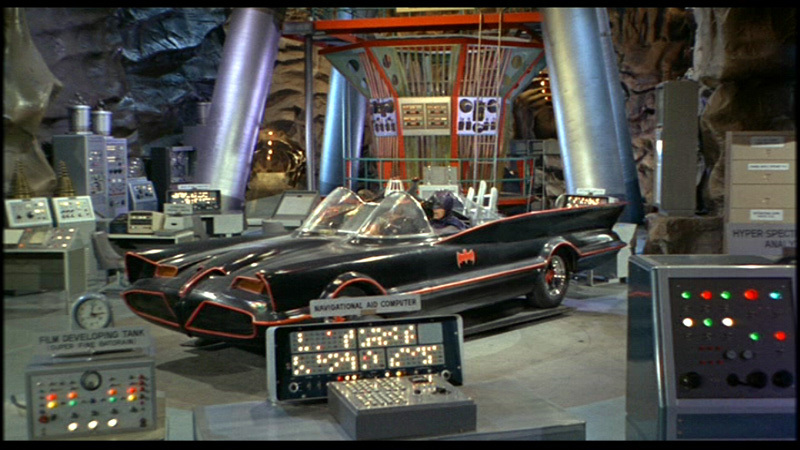 I always LOVED the 1966 TV Batcave set. Primarily because it was real. You could see it live, two times a week when I was a kid. 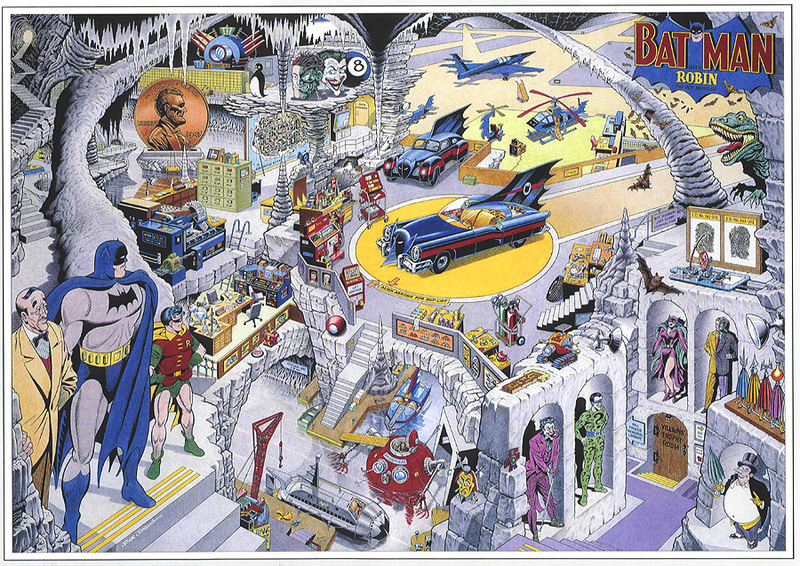 The comic book Batcave, on the other hand, while cool – was never the same thing twice. It wasn’t real and depended entirely on whatever artist was rendering it that week to be interesting. Consistency was not a watchword. That said, the comic book Batcave had some pretty cool stuff that they didn’t capture in the TV version: The Giant penny, The Robot Dinosaur, the Villain Trophies, Bat Gyros…the list goes on. After much consternation about which version we should do, my 4-year old son, Alex gave me the simplest and most obvious (and yes, most challenging) answer: Why not combine them? Take the best elements of the TV Batcave and the best features of the classic comic book Batcave and do a mash-up. Why not? So we decided to try to blend the best elements of the Batcave over the years. I have no idea how well it’s going to work, if at all. The 1966 TV guys will grumble about the Dinosaur, the comics guys will scoff at the ’66 labels on all the gear – but hey, it’s our project and this is what we’re gonna do. 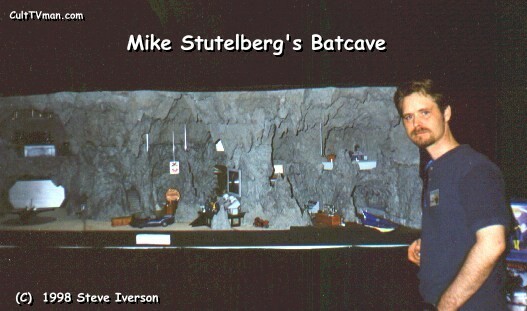 My friend Mike Stutelberg, who has designed many bat-models for Horizon, Polar Lights among others, did a large scale Batcave diorama some years ago that featured a lot of the comics version, with not as much of the TV elements as we’re going to go for. But his work inspired me to think BIG. And so we’re going to steal emulate some of his work where we see it fitting into our project. When I say “we”, I am referring to my son and I. I have less and less time these days for selfish, time consuming hobby projects. This is something that we both can work on in whatever passes for spare time, and we both get to exercise design and building ideas. If you get a chance to build something, anything, even something as geeky as this with your kids – I say go for it before they turn into teenagers and have no time for you.